The Department of Community Engagement provides vision, leadership, and programmatic support to Orthodox communities and congregations throughout North America. Our goal is to strengthen our communities, member congregations, and their constituencies, by providing religious, educational, social, and cultural programming on relevant and timely issues that impact upon the lives of individuals and families. We are readily available to provide an array of programming, design and promotional services to implement cohesive and successful programs or give support and guidance to help communities present their own events. The former Assistant Director of OU West Coast, Rabbi Adir Posy was recently appointed to OU Regional Director of Western States. The region includes Texas through Alberta, Canada and as far east as Missouri. 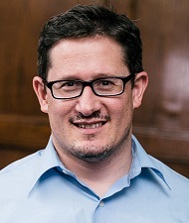 Rabbi Posy, who also serves as Associate Rabbi at Beth Jacob Congregation in Los Angeles, is a father of six and is keenly interested in the intersection of medicine and Halacha and the construction of community eruvin. Rebbetzin Judi Steinig works with communities throughout North America providing resources for communal growth as well as coordinating programming for various demographics. She has lectured in many venues on topics concerning women, family, parenting, and singles issues. She was Director of Programming for National Council of Young Israel prior to joining the OU and is an Instructor for Bellevue University. She graduated from Douglass College, Rutgers University with a BA in Mathematics. She earned an MA in Leadership from Bellevue University and certificates in Non-for-Profit Management from Touro College, Desktop Publishing from Queens College and Life Coaching from Bellevue University. 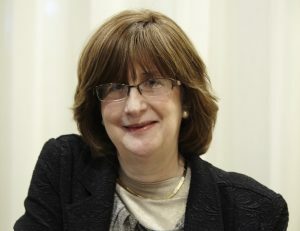 She and her husband, Rabbi Sholom Steinig, of the Young Israel of Bayside, have four children and six grandchildren. 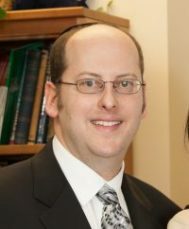 He and his wife Shira live in Teaneck, NJ with their three children. Naftali grew up in Suffern, NY, where he attended Congregation Bais Torah, led by Rabbi Berel Wein. Naftali credits his family and community in veering his interest towards communal work. 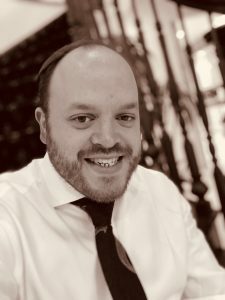 With a background in social work, he previously worked at the OU’s office in New York for a number of years as the Director of Community Outreach and Engagement for Yachad. As the Southeast Regional Director, Naftali works closely with the region’s synagogue rabbinic and lay leadership, as well as local federations and Jewish organizations to connect, network and develop meaningful relationships and provide resources. Naftali and his wife Shani live in Boca Raton and are members of the Boca Raton Synagogue, an OU-member shul. Rabbi Karesh was born and raised on the north side of Chicago. 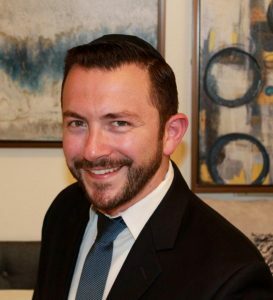 He attended schools locally and continued on to pursue a Bachelors of Biology at Yeshiva University, EMT Certification in the State of NY, a Masters in Educational Administration at Loyola University School of Education in Chicago, and studied for the Rabbinate in Israel for three years. R’ Karesh, who is also a Mohel, comes to this department from NCSY where he has been working with both the Alumni and leadership development teams. 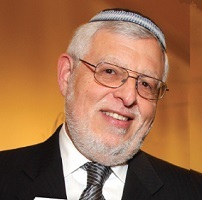 Rabbi Shaffer received his Smicha (Rabbinic Ordination) from the Rabbi Isaac Elchanan Theological Seminary of Yeshiva University and a Masters in Education from the Azrieli Graduate School of Yeshiva University. Upon completion of his Rabbinical studies, Yeshiva University recognized his promising talents and awarded him a two-year Fellowship focusing on Rabbinic Leadership & Entrepreneurship, training him to be a community leader prepared for the opportunities of the 21st century. In addition to his position at the OU, Rabbi Shaffer is the Rabbi of PJC, a young & growing Jewish community in Pikesville, Maryland. 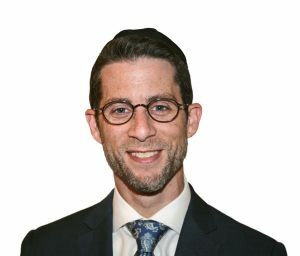 He has been the Assistant Rabbi of Ohab Zedek, NYC, assistant Rabbi of The Hampton Synagogue, NY, Assistant Director of Institutional Advancement at Yeshiva University’s Institute for University-School Partnership and the Director of Education for New Jersey NCSY. Rabbi Shaffer is thrilled to be working in the Midatlantic region to facilitate the sharing of communal best practices, and bringing the resources of the OU to the great Jewish communities of this area. Rabbi Shaffer’s thoughts on parsha, parenthood and contemporary topic can be found on his twitter handle: @yechields. 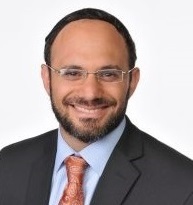 Rabbi Berger graduated from Yeshiva College in 1994 with a B.A. in physics, studied for three years at Yeshivat Har Etzion in Israel under the tutelage of HaRav Aharon Lichtenstein zt”l, received his semikhah from RIETS in 1998, and was a fellow of RIETS’s Bella and Harry Wexner Kollel Elyon. He was Northeast Vice President of the Rabbinical Council of America from 2013-2015, and currently serves on the RCA’s Executive Committee. 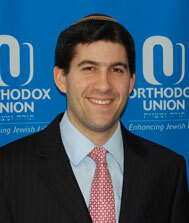 He is a Halakhic Consultant for Yesh Tikva, an infertility support organization. Rabbi Berger and his wife Miriam are the proud parents of Shoshana, Racheli, Sheindl, Baruch Meir, and Shira. Alyson Papir serves as the Special Project and Program Coordinator of Synagogue Services at the OU.